if you do you’ll discover a whole days worth of content specifically around SharePoint. I’ll be speaking about OneDrive in the afternoon so I’d love to see you at my session. If you are planning to attend the day drop me a line and let me know so I can say hi! I still firmly believe that SharePoint represents the greatest opportunity for SMB IT resellers and is something they need to be familiar with at the very least. For customers SharePoint provides a way to streamline and manage their information much better and likewise is not something that should be dismissed. 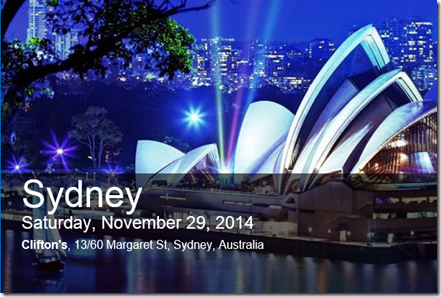 Thus, in summary, no matter who you are, you should come to Sydney SharePoint Saturday. There is something for everyone!